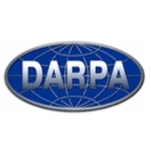 The Defense Advanced Research Projects Agency (DARPA) is a unique research organization established to maintain the U.S. military’s technological preeminence. Essentially, it’s the intellectual sandbox of the Defense Department, freed from many of the constraints imposed on other agencies so it can pursue riskier, more innovative research. Over the years, DARPA has helped develop technologies that have also worked their way into the civilian world, including the forerunner of the Internet. Some of its efforts have also been controversial. A conflict-of-interest scandal hit the agency in 2011 when AllGov uncovered the fact that DARPA’s director, Regina Dugan, had awarded lucrative contracts to a bomb-detection firm that she had co-founded with her father and uncle, and which was being run by her father and sister. The Advanced Research Projects Agency—as DARPA was originally called—was created in response to the Soviet launching of Sputnik 1, the first artificial satellite to be placed into Earth orbit. This event shocked the American public, leading not only to the agency’s birth, but also a renewed focus on science education in schools. At first, the agency dealt solely with space-related projects, and was nearly eliminated when those projects were taken over by the National Aeronautics and Space Administration and the National Reconnaissance Office. However, the threat of global nuclear war pushed the agency in a new direction; soon, it started conducting research into stealth technology, branching out into other areas from there. In the past, the agency reported to the secretary and deputy secretary of defense. That role was then assumed by the under secretary of defense for research and engineering. Now, both the director for defense research and engineering and the under secretary for acquisition, technology and logistics review DARPA’s overall strategy and budget, which is passed along by the DARPA director. The agency was originally named ARPA, and then was changed to DARPA in 1972. It was changed back to ARPA in 1993, before finally becoming DARPA again three years later. The Defense Advanced Research Projects Agency (DARPA) is unusual in that it eschews the typical hierarchy found in other government agencies, in an attempt to stay flexible, to cut down on bureaucratic red tape, and to foster the kind of innovation that’s the focus of its mission. DARPA is broken into small project teams, each with a manager. The agency’s top brass and these managers identify specific, clearly defined problems, and then the managers look to sources both inside and outside of the agency for ideas on how to overcome them. The teams are given a lot of leeway, allowing them to pursue solutions that might seem risky or even far-fetched to some—just so long as they don’t capriciously waste taxpayer funds, according to the DARPA Web site. If, during the course of exploring these ideas, an auxiliary problem comes up and needs to be addressed, then it often gets a fresh project team to look into it. Each project builds on others incrementally, with the desired effect being major technological innovation accumulated over time. The groups typically receive between $10 million and $40 million over four years to complete their work, as well as help from support staff, organizations and universities. However, some projects receive funding of as little as $1 million, but others can get as much as $100 million. According to the DARPA Web site, the best program managers are described as “freewheeling zealots in pursuit of goals.” Technical staff members are rotated every three to six years, to bring in new people with fresh ideas. Support staff—including contractors and secretaries—is employed on a strictly as-needed basis, so that DARPA doesn’t have to worry about providing them with new work when projects end. There is a minimal management layer between the DARPA director and project managers, made up of six so-called office directors. Projects are grouped into these offices, which are the Defense Sciences Office, the Adaptive Execution Office, the Information Innovation Office, the Microsystems Technology Office, the Strategic Technology Office and the Tactical Technology Office. According to the DARPA Web site, the Contracts Management Office (CMO) “plans, negotiates and awards contracts, grants and agreements for select new-start technology projects … and for other cooperative projects” where contracting some work out might be useful. The CMO also handles the Small Business Innovation Research program. DARPA has helped to develop a number of inventions over the years, including the M-16 rifle, the Saturn rocket, global positioning systems and unmanned aerial vehicles. But it’s also helped fund projects that have gone nowhere, that some found ridiculous, or that raised the ire of civil libertarians or other groups (see Controversies below). DARPA regularly sponsors “Grand Challenge” competitions, such as the 2012 Robotics Challenge contest for creating humanoid robots that can function on rough terrain and handle industrial disasters. Each robot must be able to operate an open-frame vehicle, such as a tractor, and get in and out of the driver’s seat. After driving to a specified site, the robot must unlock a door using a key, pass through the doorway, and walk down a 100-meter-long hallway filled with rubble-type obstacles. At the end of the hallway, the robot climbs a ladder, locates a leaky pipe, and then stops that leak by turning a valve. Finally the robot must replace a pump so the facility can resume normal operations. The only assistance the robot may receive is one individual’s supervisory remote communication. The winner of this competition will be awarded a $2-million prize. Shredder Challenge, which involved confiscating and reconstructing shredded documents in a war zone. Cliqr Quest, which required a time-sensitive hunt for codes across the United States, utilizing social networking and Internet tools. ACTUV, an anti-submarine tracking and warfare game. Micro Cryogenic Coolers, an attempt to develop small-scale cryogenic coolers for use in things like missiles. Defense Advanced Research Projects Agency (DARPA) spent more than $44.9 million on 126 contractor transactions between FY 2002 and FY 2012, according to USASpending.org. The five main areas of spending were for miscellaneous defense services ($12,971,809), research and development (R&D) management support ($7,500,460), aero and space tech R&D ($7,197,474), other professional support ($5,824,031), and applied research/exploratory development ($3,154,171). Another of the outside contractors that receives funding from DARPA is Boston Dynamics, whose latest undertaking for the agency is the prototype for the Cheetah, a cat-like robot that can gallop at 18 mph, a land speed record for legged robots. Regina Dugan, the first woman to lead the Defense Advanced Research Projects Agency (DARPA), left the agency in 2012 and left behind accusations that she helped enrich her family business. Shortly after Dugan became director in 2009, DARPA awarded a $400,000 research contract to RedXDefense, followed by another deal a few months later. The contracts raised questions of conflict of interest because Dugan, who left a DARPA program manager job for the first time in 2000, co-founded RedXDefense in 2005, along with her father, Vince Dugan, and her uncle, John Dugan. The controversy prompted the Defense Department’s inspector general to investigate not only the deals with RedXDefense, but all DARPA contracts (about 2,000) awarded under Dugan’s leadership. Dugan resigned from her job in 2012 to accept a senior executive position at Google, a company that has been accused of secretly working with the government. The Defense Department said her departure had nothing to do with the ongoing probe by the inspector general. In addition to that controversy, government watchdogs wondered if DARPA had any connections with the National Security Agency and its attempts to gain access to Gmail accounts. The Defense Advanced Research Project Agency (DARPA) came under a barrage of criticism during the Bush administration for trying to apply market-based concepts to intelligence. DARPA’s Future Markets Applied to Prediction (FutureMAP) program was created to see if prediction markets—those used by capitalists to bet on the likelihood of future events—could be utilized to enhance existing strategic intelligence gathering. The program lasted two years before congressional heat forced DARPA to pull the plug. In DARPA’s defense, the Central Intelligence Agency said FutureMAP was neither wrong-headed nor a waste of money in that prediction markets could indeed add to intelligence gathering capabilities. Sen. Barbara Boxer (D-California) called the FutureMAP program “very sick.” Other individual programs and areas of research, such as the Virtual Soldier program, also have come under fire for being too far-fetched. The Information Awareness Office (IAO) was created in 2002, with the goal of applying advances in communications technology against transnational threats to the country, such as the terrorist network that organized the Sept. 11 attacks against the United States. The Total Information Awareness Program (later renamed the Terrorism Information Awareness Program) was one of the most controversial being handled by the IAO. Critics became concerned that the program was attempting to develop a surveillance system that could be used against anyone, including everyday citizens of the United States. Adding fuel to the fire was the fact that the man chosen to direct the IAO was John Poindexter, a retired admiral, a former national security advisor and a figure in the Iran-Contra scandal during the Reagan administration. Congress cut the IAO’s funding in 2003. Nearly a decade later, concerns have surfaced among civil libertarians that IAO was never really shut down, but instead just moved underground, and that recent evidence suggests its re-activation in programs being generated at the National Security Agency and the National Counterterrorism Center. nice to see darpa is keeping us at the cutting edge of technology in the world. nice job keep up the good work!! Hoping to move beyond the conflict of interest controversy that torpedoed the tenure of outgoing director Regina Dugan, the Obama administration has named a new director for the Defense Advanced Research Projects Agency (DARPA). Dugan resigned in March over revelations that her family firm, RedXDefense, won $400,000 in Darpa contracts while Dugan was director—and while the company owed her about $250,000. More interested in exploring the policy implications of science than engaging in research, Prabhakar went to Washington, DC, in 1984 on a Congressional fellowship with the Office of Technology Assessment, where she wrote on microelectronics research and development. She then served at DARPA from 1986 to 1993, first as a program manager and then as founding director of the Microelectronics Technology Office. In May 1993, at the age of 34, Prabhakar became director of the National Institute of Standards and Technology, an agency traditionally involved in defining technical standards, but which the Clinton administration wanted to use to encourage high-tech economic development. Prabhakar left public service for the private sector in 1997 by joining Raychem, a publicly held specialty materials company, as senior vice president and chief technology officer. She was subsequently with Interval Research Corporation, a laboratory for consumer technology, as vice president and then president. In 2001, Prabhakar became a partner at U.S. Venture Partners (USVP), a venture capital firm in Menlo Park, California, where she worked with new high tech companies. Prabhakar chairs the Efficiency and Renewables Advisory Committee for the U.S. Department of Energy, is a member of the National Academies Science Technology and Economic Policy board, a member of the College of Engineering Advisory Board at UC Berkeley, and a fellow of the Institute of Electrical and Electronics Engineers. She serves on the board of directors of SRI International, a nonprofit research institute, and either serves or has served on the boards of Kilopass Technology, Inc., SiBEAM, Inc., Lightspeed Logic, Inc., NanoSolar, Inc., Arradiance, Inc., Kleer Corporation, and Pivotal Systems Corp.
A finance industry Democrat, Prabhakar has made political contributions totaling $12,586 since 2003, about two-thirds of it ($8,636) to the National Venture Capital Association PAC, which funnels money to Democratic and Republican candidates about equally. Prabhakar also contributed $500 to Sen. Joe Lieberman’s (Ind.-Connecticut) Senate campaign in 2003, $1,000 to Hillary Clinton’s 2008 presidential run and $2,200 to Barack Obama’s 2008 campaign. Born circa 1955, Gabriel earned an S.M. and a Ph.D. in Electrical Engineering and Computer Science from the Massachusetts Institute of Technology in 1979 and 1983, respectively. In 1985 he joined AT&T Bell Labs in the Robotic Systems Research Department, where he pioneered the field of MEMS. During a sabbatical year from Bell Labs, Gabriel was a visiting associate professor at the Institute of Industrial Science at the University of Tokyo in Japan. Gabriel left Bell Labs in 1991, spending a year as a visiting scientist at the Naval Research Laboratory. From 1992 to 1997, he served his first stint at DARPA, where he started and managed the MEMS Program, taking it from a budget of zero to more than $70 million per year and more than 80 projects by 1997. Gabriel was deputy director of the Electronics Technology Office from 1995 to 1996, and director from 1996 to 1997. In 1997, Gabriel was jointly appointed professor of Electrical & Computer Engineering and Robotics at Carnegie Mellon University, where he continued his work on MEMS. After the terrorist attacks of September 11, 2001, Gabriel and his wife, Christina, organized an Office for Security Technologies, the purpose of which was to match Carnegie Mellon experts with government agencies that might need them. In 2001, Gabriel co-founded Akustica, a Pittsburgh-based company that develops MEMS sensors for consumer electronics products. Akustica, of which Gabriel was chairman and chief technical officer, pioneered the use of digital silicon microphones and shipped more than 5 million units to the PC/notebook industry before being acquired by Robert Bosch in 2009. He is a founding director of Optical Micro Machines and a founder of Xactix, Inc., and serves on the strategic advisory boards of Microcosm Inc., Crossbow Technology, and Network Elements. Gabriel is the co-founding executive director of the MEMS Industry Group, the principal trade organization representing the MEMS industry globally. Gabriel was named deputy director of DARPA in July of 2009 when Regina Dugan became its director His wife, Christina Gabriel, had a long involvement with Carnegie Mellon University, including serving as vice provost and chief technology officer. She is currently president of the University Energy Partnership, a collaborative effort of Carnegie Mellon University, the University of Pittsburgh, Penn State University, Virginia Tech, and West Virginia University.